Los Angeles is the kind of city that has something for everyone. 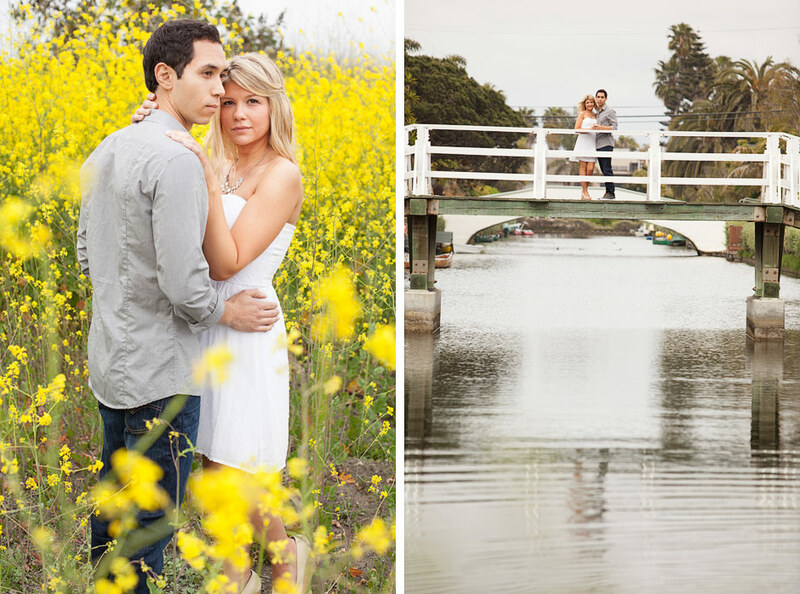 As photographers, Scottie and I feel that one of the best things it offers us is amazing locations to shoot! It has everything from the beach, to the lights of downtown, to famous landmarks, to beautiful flowers and greenery, to spacious and mountainous hiking trails… whatever you want in your photos, there’s a good chance that Los Angeles has it. With so much to choose from, it can be quite a chore sorting through your many options and trying to pick a location to shoot at! 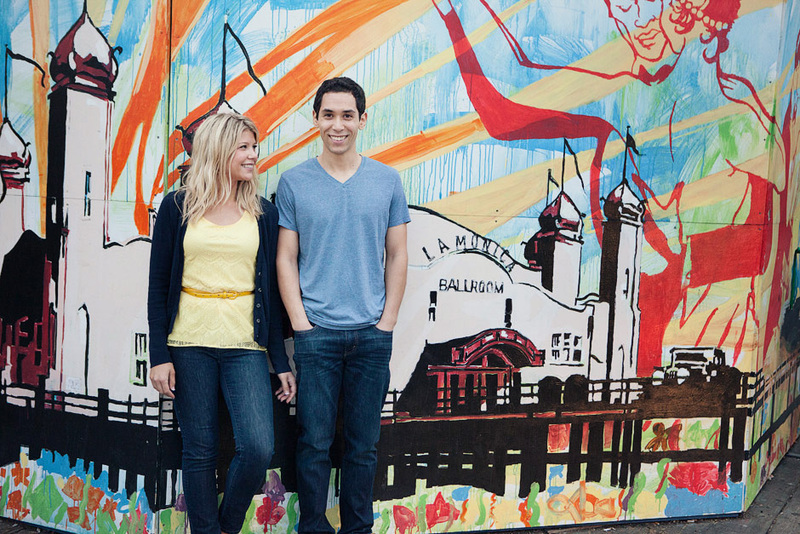 So when our neighbors, Rachel and Matt started planning their engagement session, we all decided to keep things simple and just stay in and around our own neighborhood of Venice Beach! … and the unique look of the California Venice canals. What more could you ask for in a photo session location?! Well there is one thing we could’ve asked for and didn’t get and it’s something that you almost always find in Southern California… SUN! It was a cloudy and gloomy day, but we decided to go with it and make the best of it, which actually created a cool effect and made our photos look a little different than they would’ve had we gone with the typical sunny SoCal look! Hopefully they’ll get all the sun they need at their June wedding in upstate New York… and if not, there’s always the chance for a fantastic Unique Session after their wedding once we’re all back in “sunny” California! Sun or no sun, one thing is for sure, and that is that we’ll have a blast capturing this awesome and exciting moment in time for Matt and Rachel. How could we not? Getting to work with our good friends is one of the perks of our job that we love the most! Can’t wait for your wedding guys! See you in June of 2014… or just later this afternoon when you take your dog out for a walk I guess. 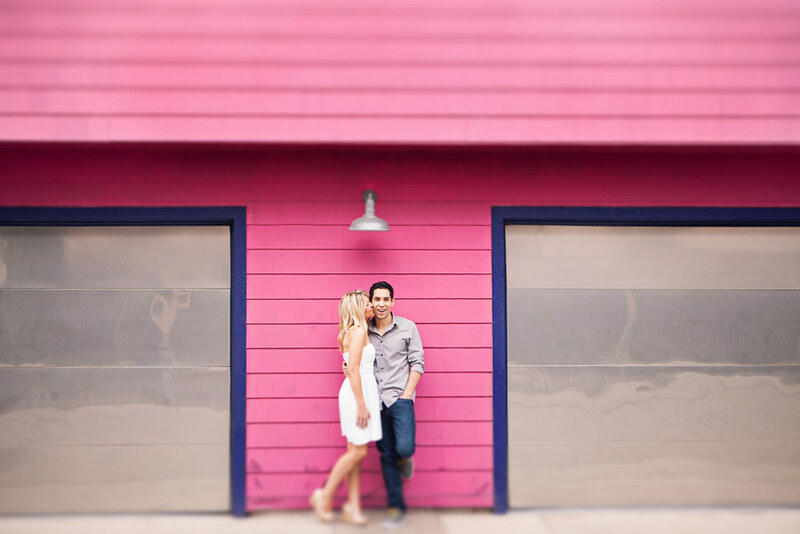 Click to see the rest of Matt and Rachel’s neighborhood photo session here. Calvin hao - Congratulations to you both on your engagement. Looking forward to meeting Rachel.